I've been on a bit of a hobby downtime recently, a combination of decent UK weather, catching up on loads of DVDs and the beginning of steampunk season have kept me away from the painting table. Ramos the steampunk sorcerer from Wyrd Miniatures, he will be one of the main heroes in the group. 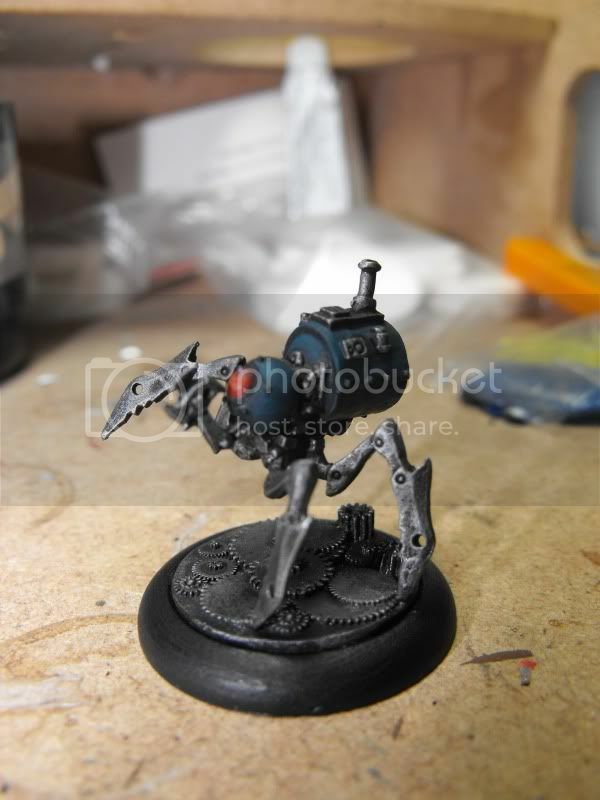 Next up is one of his creations, a stream-arachnid, a lurching steam powered metal monstrosity. The position of his henchmen will be filled nicely with Artisan Designs Pinkerton detectives, they look subtle enough that they can sneak around the crowded streets of London for filling their masters bidding without bringing too much attention to his work. I have a load of tentacles from GWs new Vortex Beast I have based up to be some horrific monster summoned from below, dependent on the ruleset this can either be an in game ability or an objective for the game. I also have this lovely lady from cool mini or not, she is however over 35mm tall and may not make the final gang. As she is a resin miniature with really fine legs she may also be too delicate for heavy duty gaming. Once we've picked a ruleset I'll flesh out the group a little more, I fancy some more arachnids, perhaps a couple of swarms of the little ones from wyrd minis. 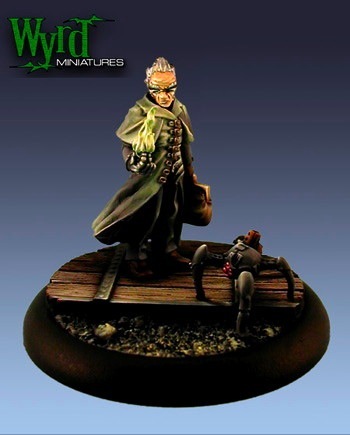 I also fancy some of the freicorps also from wyrd. *Little disclaimer I have just nabbed the above pics from across the internet, no claim on their copyright is claimed and if you have any issues with my using the images please just message me.